So went the jingle when Griffins was the premier biscuit company in New Zealand. With progress came redundancy and closure. 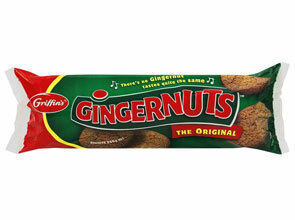 The famous Griffins biscuit factory in Lower Hutt closed at the end of last year and production was moved to Auckland. Now Griffins are having trouble stocking shelves with the famous red biscuit in the lower north island and the recipe seemed to have changed. Springload has personally experienced this. We always have gingernuts in the cupboard and recently the odd biscuit seems burnt on the bottom, and has a different texture. So, not only did Griffins move production north it neglected quality control. And it neglected maintenance of supply. And so progress marches on.